Full name, date of birth: Zhanzakov Karzhaubay Galimzhanovich, May 18, 1966. Work experience: the general experience is 35 years, the scientific and pedagogical experience is 23 years. What university, for what specialty and when he graduated from: Karaganda State Technical University, “Engineer for transport organizations and transport management” in 1995. 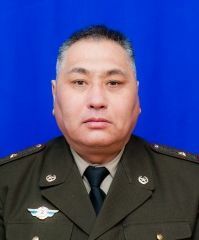 2008-2011 – Deputy Head of the Department of Defense Affairs of the Shet district. 2012 to the present – senior lecturer of the department “Transport Engineering and Logistics Systems”. Subjects readable in the school year: Fundamentals of the TEO. THAT and RS.ATS. Chains of delivery risks. Development of the logistics sector. Transportation management in transport.